The lithium-ion battery was first made available for commercial use in 1991. It has since changed the market and is now used in most modern technology including pacemakers, mobile phones, computers, and mobility scooters. When taking a mobility scooter or powerchair on a plane it makes sense to take one with a lithium battery. A lithium battery is lightweight and can provide you with a better travel distance. However, what many people don't realise is that there are strict regulations for transporting Lithium-Ion batteries and if you don't follow them, they won't be cleared for air travel. A Lithium-Ion battery is considered to have a high energy density, and are in most cases very safe, but can pose a fire risk when treated incorrectly. Fortunately, we know all about the rules and have carried out the necessary qualifications to ensure the safe transport of the batteries. We can even provide you with the certification you need to fly with a lithium battery. Please note that not all airlines operate the same policy regarding Lithium batteries so it is imperative, if you are contemplating taking a powered product, to check with your flight provider prior to booking, as this may affect your travel arrangements. Usually, the lithium battery for a collapsible mobility aid like a mobility scooter or powerchair is likely to fall between the 100Wh - 300Wh category. For a battery of this size, approval is essential from the airline. Once the airline is happy with your certification the battery must be detached from the scooter or powerchair and carried in the cabin with you. Measures should be taken to protect it from short circuit. 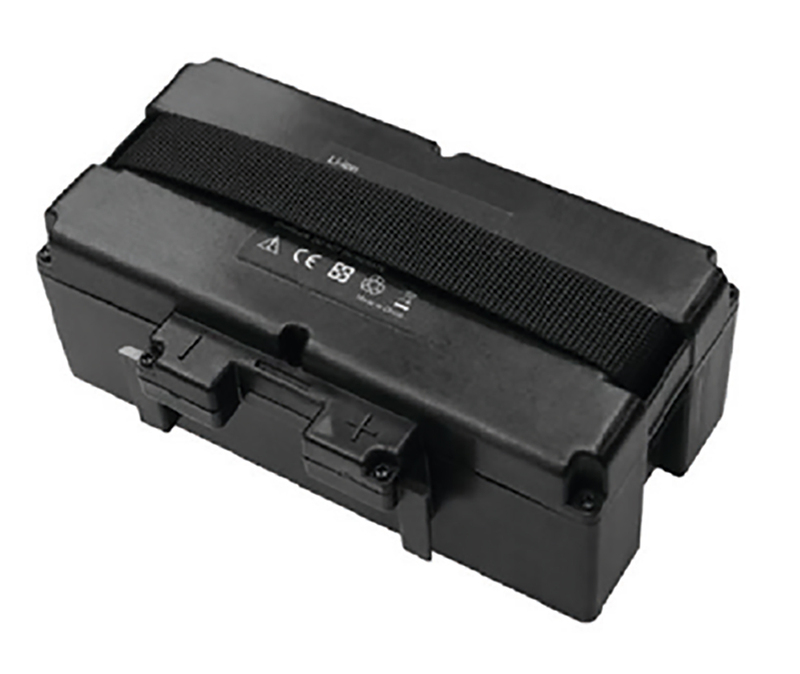 This can be done by putting electrical tape over the terminals, placing it in a compliant protective case or special anti-static strong plastic bag. At Mobility at Sea the way we receive, send, and package our lithium Ion batteries make them safe for air travel. Please give us a call on 0800 582 6854 for more information. For more information on the safe handling of lithium batteries, please go to the Civil Aviation Authority (CAA) website.